THE MODEL: A line of athlete clothing which has a video camera integrated in it to ehance the broadcasting of that sport. Fans can experience the sport through the movements of the athlete. Core Idea – Integrating a camera in clothing is a good way to enhance the broadcasting of the sport to fans. Fans can experience the adrenaline and energy through this. 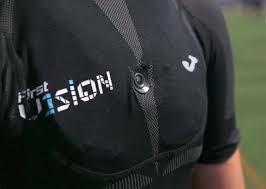 Product Features – The camera is not visible to the eye and is adaptable and integrated into the clothing. Also the quality of the broadcasting is very good. Competition – This idea has to be well protected by property rights to avoid competition as the technology is available and can be replicated.